Client: Talley & Smith Architecture, Inc. The site design for this 81,000 sf warehouse expansion included a bioretention pond and stormwater detention pond as well as a new drive entrance from the adjacent road. The parking lot and driveways were designed to accommodate large trucks arriving and leaving the site. Existing utility services also had to be replaced. 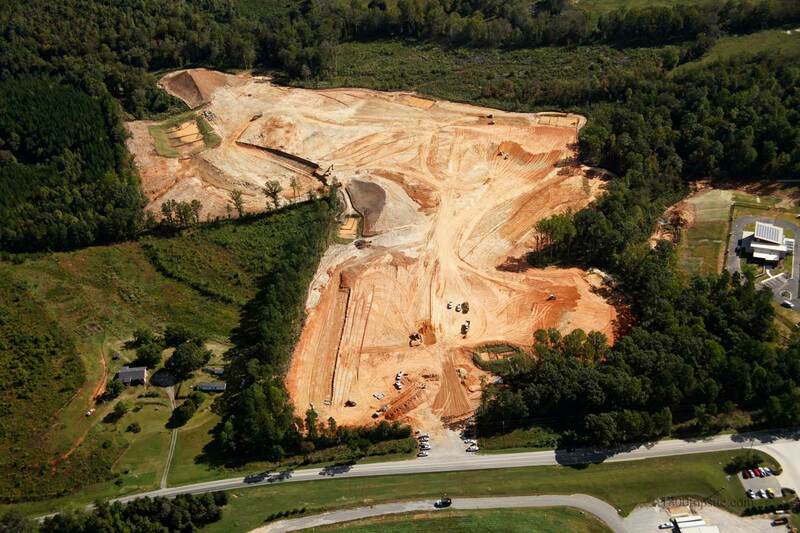 Robinson & Sawyer, Inc. has provided design servies for numerous projects at the FMC plant in Bessemer City. The projects range from parking lot reconfigurations and additions to dam removal plans for existing ponds. The project consisted of the development of a 66.6 acre industrial park which included 1,600 LF of entrance roadway, associated drainage improvements, and grading to establish 10 industrial sites. Services included surveying, conceptual design, final design, preparation of bidding and construction documents, bidding services, construction administration, and construction observation. The project was completed on time and within the $1.5 mil budget. The project consisted of the design of a yard waste facility for Gaston County on a 16 + acre site in northern Gaston County. The project included a public entrance off of Philadelphia Church Road and a truck staging area. Robinson & Sawyer, Inc. provided design surveys, conceptual design, final design, preparation of bidding and construction documents, bidding services, construction administration, and construction observation. The project was completed on time and within budget. 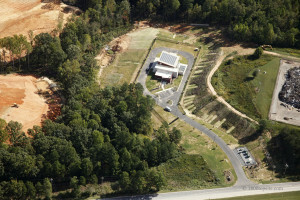 The Project consisted of civil site design for a Methane Power Generation Facility across Philadelphia Church Road from the Gaston County Landfill. A methane collection system feeds gas to the power plant through a 12 gas main. Robinson & Sawyer, Inc. provided design surveys, conceptual design, final site design, construction drawings and specifications, construction administration, and construction observation. The project was completed on time and within budget. The project included sitework for a 10,000 SF building expansion for an existing building being converted for use as a brewery. The design included adding an additional driveway for truck access to the new facility as well as a new sanitary sewer service. In addition, Robinson & Sawyer, Inc. provided the design of a concrete slab for a sugar silo.